Recently I was asked to participate in an upcoming exhibition – FIBER? 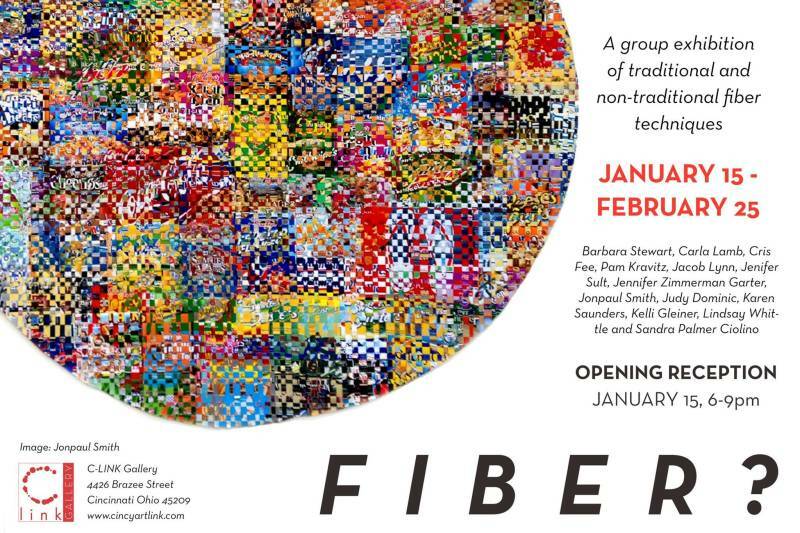 – A group exhibition of traditional and non-traditional fiber techniques – being shown at the C-Link Gallery located in the Brazee Street Studios. Fiber? runs Jan. 15 – Feb.25 with the opening reception January 15, 6-9 p.m. FIBER? is curated by Chelsea Borgman and will feature the work of: Barbara Stewart, Carla Lamb, Cris Fee, Pam Kravitz, Jacob Lynn, Jenifer Sult, Jennifer Zimmerman Garter, Jonpaul Smith, Judy Dominic, Karen Saunders, Kelli Gleiner, Lindsay Whittle and Sandra Palmer Ciolino.